여러분 안녕하십니까? 웰컴투아메리카의 박형권입니다. 오늘도 리오라 앤더슨이 여러분과 함께 합니다. Hello, everybody. It’s good to be with you again. 어느새 여름에 접어들었습니다. 여름 방학을 맞이한 학생들이 미국의 수도 워싱턴을 찾아 붐빕니다. 또한 미국 전역에서 찾아든 관광객들의 버스 관광이 한창입니다. Well, I’ve arranged for us to take a little tour. So, we’re going to take a tour on a little bus. 아무때나 타고 내릴 수 있는 ‘Tour mobile’이라는 관광버스를 타고 오래간만에 워싱턴을 좀 돌아보기로 하지요. Yes, we’re going to hop on and hop off the tour bus, which we will be able to look at the various memorials by getting on the bus and getting off when we want to look at some of the memorials and learn more about them. 이 버스는 ‘hop-on-hop-off’이라고 하는 관광 버스인데요, 구경을 하고 싶은 곳에서 내려서 구경을 마치면 그 자리에서 같은 노선의 버스를 탈 수 있는 버스입니다. I bought us tickets to get on the tour bus, and where should we start? Where does the tour bus start? 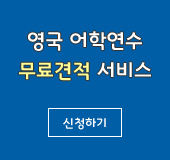 한국전 참전용사 추모관에 우선 들러 보려고 합니다. ‘narrator’라고 부르는 안내원이 한국전쟁 추모관에 대한 안내를 하고 있네요. [TOUR BUS] You’ll see the Korean War Memorial which see 19 soldiers from all four branches of the military. 한국전쟁 추모관에는 4개 부서인 육군, 해군, 공군, 해병대를 상징하는 19명의 군인상이 세워져 있습니다. 그리고 검은 화강암 벽에는 한국전쟁에 참전했던 군인들의 이름과 얼굴이 새겨져 있습니다. [TOUR BUS] And it’s very nice memorial to visit at night time. And the reason why is they’re illuminated…. 한국전쟁 추모관은 특히 밤에 볼만하다고 합니다. 밤에 불빛을 밝혀두는데 마치 벽에서 유령들이 튀어 나오는 것처럼 느껴진다고 합니다. There’re 19 statues at the Korean memorial, and it was dedicated on July 27, 1995, which is the 42nd anniversary of the armistice that ended the Korean War. ‘Korean War Veterans Memorial’ 즉 한국전쟁 추모관은 링컨 기념관에서 가까운 곳에 있죠? It’s right next to the Lincoln Memorial, and it’s very easy to find. And it’s within walking distance. This memorial is open until midnight. [TOUR BUS] All of the outdoor memorials in Washington, D.C., like Lincoln, Korean, Vietnam Veterans, FDR, and the Jefferson Memorial; they all stay open until 12:00 midnight. All of the outdoor memorials stay open until midnight. Let’s travel on to another memorial. 한국전쟁 추모관과 링컨 기념관에서 걸어갈 수 있는 가까운 거리에 베트남 전쟁 추모관이 있지요? The Vietnam War Veterans’ Memorial opened in 1982. And it was designed by a 20 old Yale University student to commemorate all of the US soldiers that died in the Vietnam War. There were 58,000 U.S. soldiers that were killed in the Vietnam War. [BUS TOUR] And here to your right is the White House Visitor Center. This is our stop at the White House Visitor Center. Our next stop is the Washington Monument. 버스를 갈아타보니 안내원이 바뀌었군요. 이번 정거장은 백악관 방문객 안내소입니다. Let’s go to the White House now. We can go to look at the beautiful lawn, the White House lawn. If we wanted to go take a tour of the White House, we would have to contact our Congressmen or Senator to try to get a pass or tour pass. 8-9년 전까지만 해도 백악관 앞 관광 안내소에 아침 일찍 줄을 서서 입장권을 받아 백악관 관광을 할 수 있었지요? In the old days you were able to take a tour of the White House and just walk up and get a ticket. But now you do have to go through your Congressmen to get a ticket. And you have to plan ahead of time, and get it six months ahead of time. (그렇지만 지금은 입장권을 구하려면 국회의원을 통해야 합니다. 그리고 미리 계획을 세워야 하며 6개월 전에 신청해야 합니다. [TOUR BUS] What surprises many people who visit inside the White House are small sized rooms…. 백악관 내부를 구경해본 사람들이 놀라는 것은 백악관의 방들이 규모가 작다는 사실입니다. 백악관이 지어졌을 1800년대에는 벽난로를 사용해서 난방을 해야 했으므로 방의 크기를 작게 설계했다는 이야기입니다. 루즈벨트 대통령이 백악관을 ‘White House’라고 이름을 붙였고 그 이전에는 ‘Executive Mansion’이라고 했다고 합니다. 그리고 루즈벨트 대통령 때 현재 대통령 집무실인 타원형의 ‘Oval Office’가 있는 백악관 서쪽 건물을 지었다고 합니다. 백악관 관광을 하게 될 경우 여러 가지 볼거리가 있습니다. 백악관 방문객안내소에는 대통령 가족 관련 전시품들이 진열되어 있고 선물가게도 있습니다. [Tour Bus] On your right hand side will be the Smithsonian’s newest museum, Museum of American Indian dedicated in September 2004. It celebrates the life and culture of American Indians…. 북미인디언박물관은 스미소니언 박물관 중에 가장 최근에 개관한 것으로 2004년 9월에 개관했습니다. 북미인디언들의 생활과 문화를 한 눈에 볼 수 있는 곳으로 북미뿐 아니라 알래스카, 캐나다와 남미 인디언들의 유적과 문화를 보여주고 있습니다. 이 박물관 건물에 있는 음식점에서는 ‘buffalo’ 또는 ‘bison’ 이라고 부르는 들소고기로 만든 ‘buffalo burger’도 맛볼 수 있습니다. 그리고 다른 북미원주민 음식들도 있지요? If you are not hungry for that buffalo burger, you might be interested in Ranger Sausage or salmon steak. ‘Ranger sausage’라는 것도 있고 연어 구이도 있고요. 웰컴투아메리카, 오늘은 워싱턴의 관광버스를 타고 한국전쟁 추모관과 베트남 전쟁 추모관 등을 돌아봤습니다. 지금까지 저 박형권이었고요, 리오라 앤더슨과 함께 했습니다. 다음 주 이 시간 다시 찾아 뵐 때까지 행복한 한 주일 보내시길 바랍니다. 안녕히 계십시오.